Every nonprofit board has had the experience of having a board position open and being unable to fill it with a highly qualified person. The usual response from qualified candidates is that he/she is too busy. 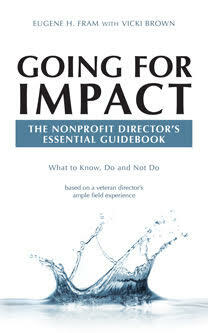 However, the real reasons, never one if speaking privately, are that they perceive the nonprofit decision process to be too slow, board agendas are loaded with minutiae, presentations take up more time than they should, discussion are not focused, etc. Following is a list of selling points to such people, (!<–more–>) if a board can deliver on them! We are careful to make wise use of your valuable time. Board meetings will begin and end of time, a quorum will be present at the beginning. Board meeting binders will be sent a week ahead of time. The agenda also will be sent out a week ahead of time. If one misses a meeting, the minutes will be available within a week. If one is going to be traveling, we have facility to attend by conference call. Divisional staff reports will each have a time limit and be well prepared in advance so the agenda can be completed as scheduled. Policy and strategic topics will be the focus of the meetings, not operating minutiae. Board committee work will be aligned with the candidate’s interests and background. The board chair and/or CEO will meet with each board members several times a year to make sure the director perceives the board experiences are in line with the above guidelines.